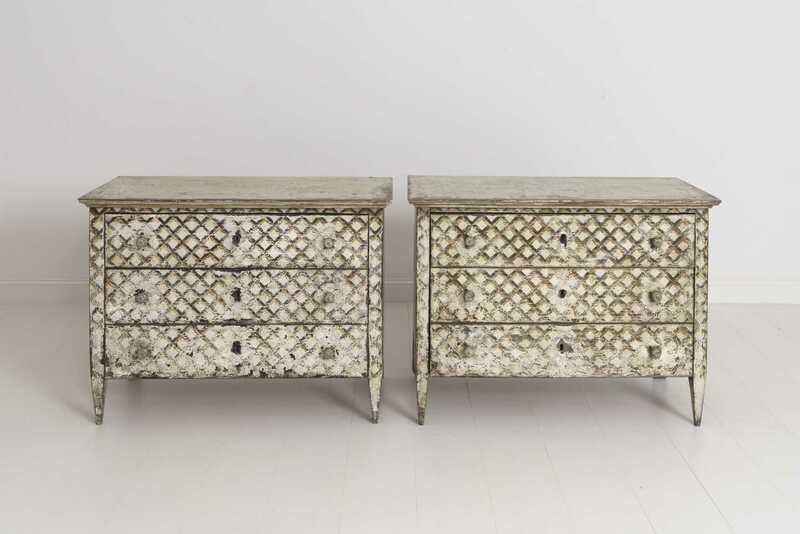 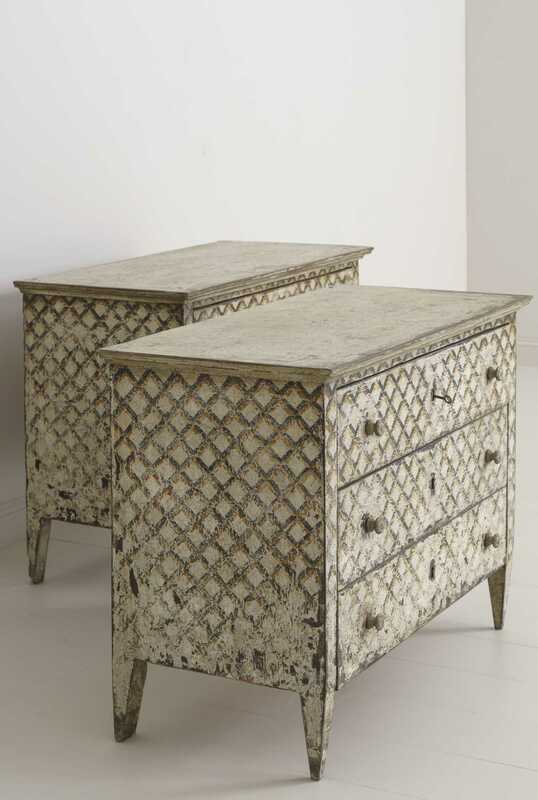 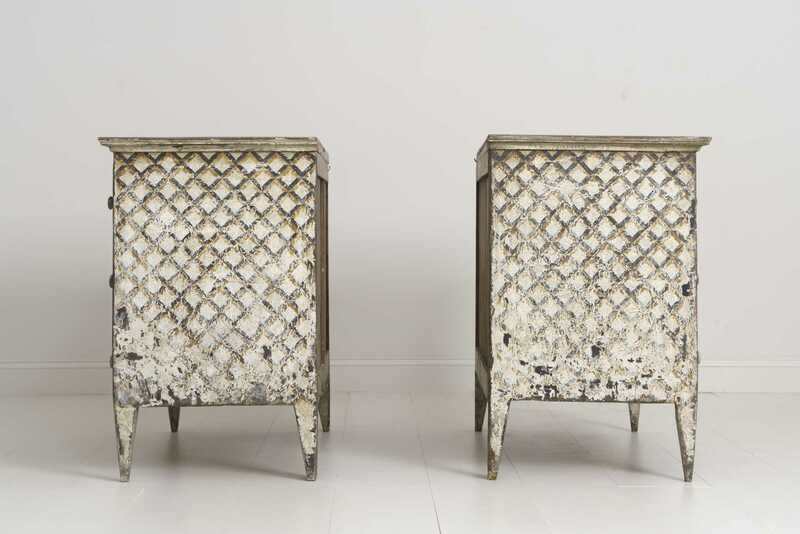 Large Vintage Pair of Italian Neoclassical Style Crosshatch Painted Commodes | Maison & Co.
A stunning Italian Neoclassical style pair of large commodes with painted crosshatching design. 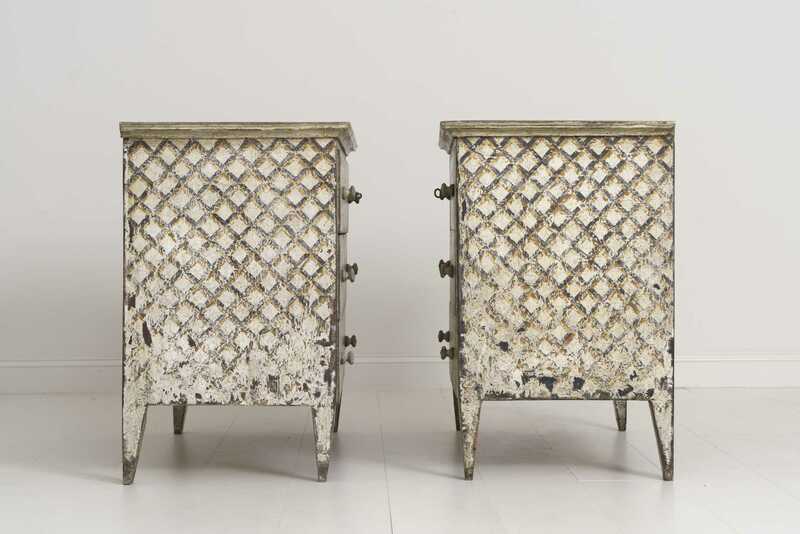 These beautiful commodes are a marriage of 19th century elements and modern construction. 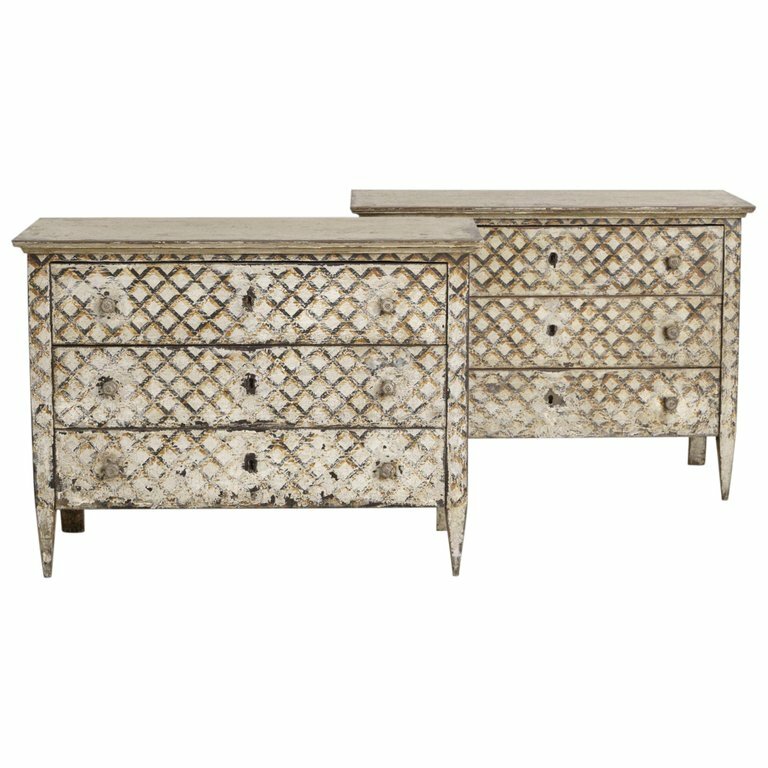 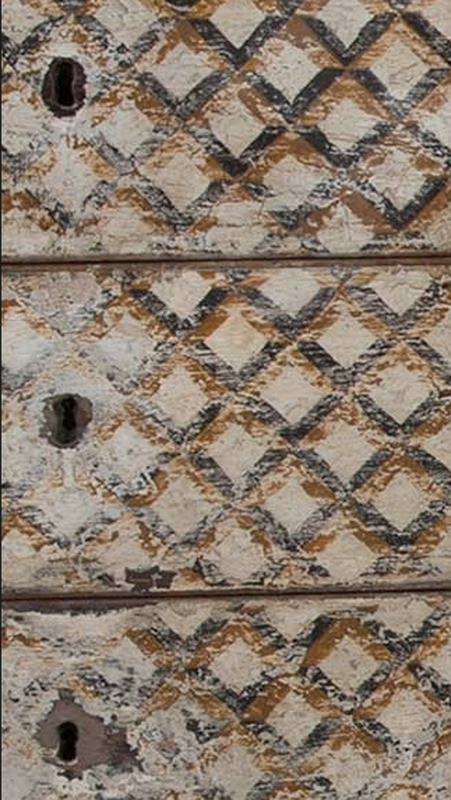 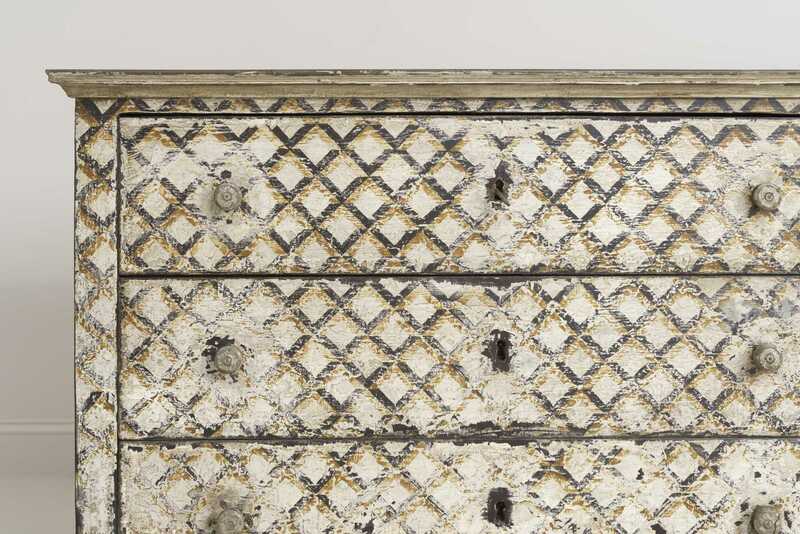 The hand painted surface decoration is original, dating to the mid 20th century with a wonderful distressed surface patination. 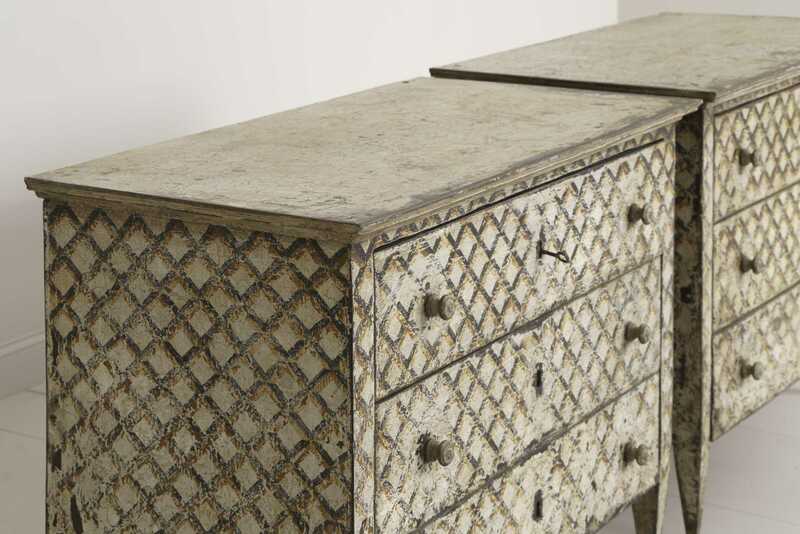 The commode top surfaces have an ivory - grey faux marble painted finish. 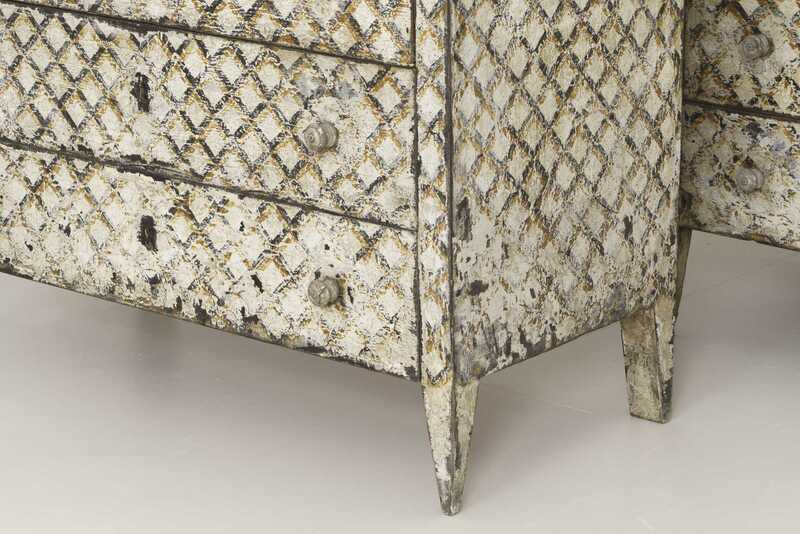 The color to the crosshatching is principally of a rich ochre yellow and black on an ivory ground. 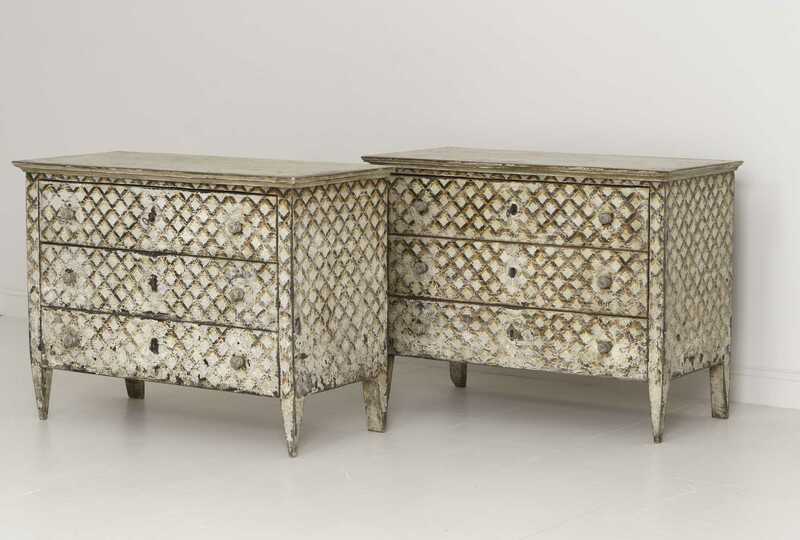 The drawers are solid and move easily.